This past weekend I participated in the Homemade for Haiti bake sale hosted by Home Ec Shop in Silverlake. We were able to raise an amazing $1,220 for Doctors without Borders. I cooked up some of my favorite cupcakes and some of my best sellers in hopes that they could get the most money to those in need. While the bake sale itself wasn’t exclusively vegan, they had a whole table full of vegan goodness (and even soy milk for coffee)! The shop is so cute too and all the bake goods were packaged up to be exponentially adorable. You can see more photos on flickr. If you want to do something really easy to help with the relief effort in Haiti, there are a ton of vegan bake sales going on across the country. 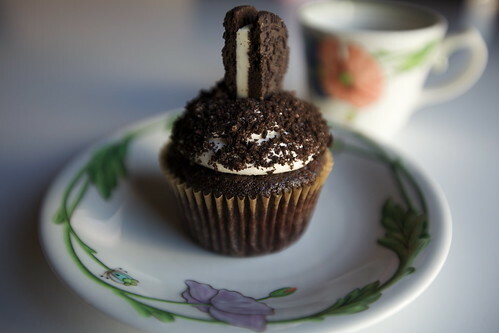 I’m particularly envious of the NYC vegan bake sale at Mooshoes (which coincidentally uses one of my cupcake photos taken by Studiodrome). There is even a bake sale here in Los Angeles this Sunday. 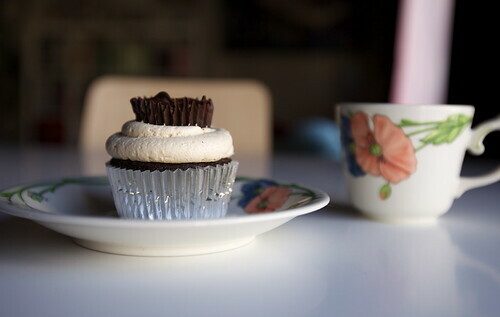 Also, if you’re in Los Angeles, you can currently get a hold of these cupcakes at Meet Market or at Vegan Bake Sale. Yay! 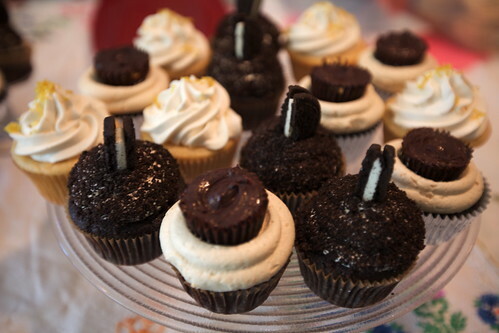 are those cupcakes with peanut butter cups on top?!?! wow! yeah i posted the flier for your sale above. not sure if i can make it this sunday, which is why i participated in last weekend’s sale. i’ll try to bring something by though and help however i can. Those look delicious! I’m impressed that you guys raised so much. I hope we do that well this weekend! The Atlanta bake sale for Haiti relief is on Saturday in front of Criminal Records in Little Five! I’ll be participating in Sunday’s bake sale and am excited about it. I’m not a baker on the level of Miss Alix (seriously yummy cupcakes), but I make a few good vegan desserts. Your cupcakes are beyond gorgeous! No wonder someone snagged Studiodrome’s photo of them! I’m looking forward to participating in our LA vegan bake sale on Sunday. I hope it raises a lot of money for the relief efforts in Haiti. Your cupcakes and photos are gorgeous and congratulations on raising such a large amount of money! Thanks! I did doctor the Daiya so it took on a better flavor. I love the melt-ablitity, but the flavor’s not so much my style. PS All these cupcakes look beautiful! When we do get up an running, I am calling your name, little lady. 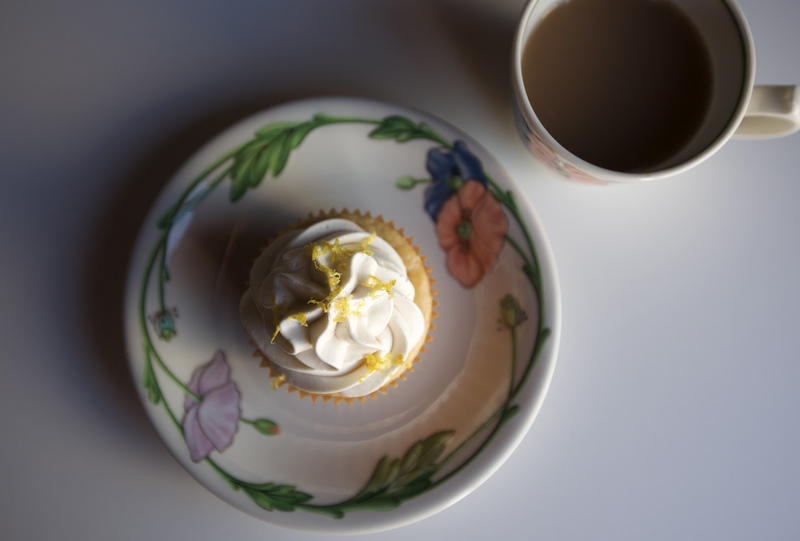 That is some gorgeous cupcake photography right there!! !